Mother’s Day is just around the corner and I’m sure that most of you already have plans on what to do during that important day. Just like most of you, we also look forward to spending time together as a family especially during special occasions such as birthdays, anniversaries, Christmas and Mother’s Day. It doesn’t have to be a grand celebration every time. Even a simple dinner at home or a picnic at the nearby park can be made special when it is spent with the whole family. Spending quality time with my family is extremely important to me which is why I make sure that I manage all my other responsibilities properly. This includes my financial responsibilities, particularly in moving funds and managing our money. I think of ways on how I can finish different tasks without spending too much time on each of them. I want to make sure that I still have time for the more important tasks and for the most important people in my life – my family. This is why I am grateful that there are services that I can use such as those that are being offered by Xoom. Xoom, a PayPal service, powers international payments to friends and family in more than 40 countries around the world and the number one recipient of payments on Xoom is Mom. Today, the primarily cash-based system of sending money abroad can be time-consuming, insecure and expensive, but Xoom offers a secure, safe and fast alternative. Xoom has a popular mobile app that is used for two-thirds of its transactions. 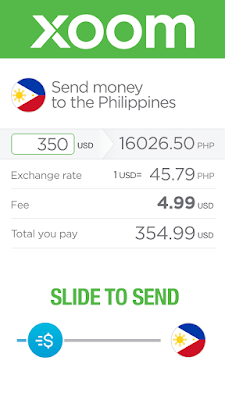 Through them I am able to quickly to send money to my family in the Philippines without any hassle. Sending my loved ones money during special occasions such as Christmas, Mother’s Day or Birthday will no longer be problem. More importantly, through Xoom, I am able to send money during emergency situations. I can instantly wire money to a bank account and give the financial assistance that my loved ones overseas require without having to go to the bank, fill out multiple forms and all the other processes that may take too much time. With a few simple clicks on my computer, transferring funds and managing our money has become a simple and time-saving task for me. In just a few minutes, my financial transactions are done, giving me more time for my family. I also like to check out the Mother’s Day deals and egift cards from PayPal. So if you are looking for the perfect gift for the special mom in your life, PayPal is offering Mother’s Day shopping deals from merchants like Macy's and Kiehls at PayPal.com/MothersDay, or you can shop the PayPal Digital Gifts store so Mom can pick out something she’s sure to love. I already picked my Mother's day gifts for my mom and grandma! I am so lucky that I have never lived more than 20 minutes away from my mom. I can't imagine living any further. We live with my parents, so I am always with my mom. Whenever I need advice, she's just a knock away. My mom lives far away. I only get to see her once a year. This money service is a great idea. My husband's family lives in another country. I did not realize there was something like this. The next time I husband's family needs money we're going to use this. I do not live that far away from my parents, so being able to have them close has been a blessing. I have, however, used this money service before and never have had an issue. Great services! I think it is great that there are convenient ways to send money to family or friends. My son will be going off to college soon and I may have to utilize something like this! I use PayPal all the time but was not familiar with Xoom, sounds like a great option for overseas transfers. Thanks for the information. I don't have a mom, but know that most of my friends LOVE living close to their moms! They all have great relationships! I use paypal all the time because it is fast and reliable. I'm glad to see they are offering great deals for mother's Day. I'm lucky that my family lives nearby, but this is such a great idea for sending money! I lived across the country from my mom for a long time. It's really hard. I'm glad that there are services for people who live in other countries from their loved ones. Its good that there is a way to so easily get money to people elsewhere. I never had a problem knowing what to get my mother. That's the first time I've heard of xoom. 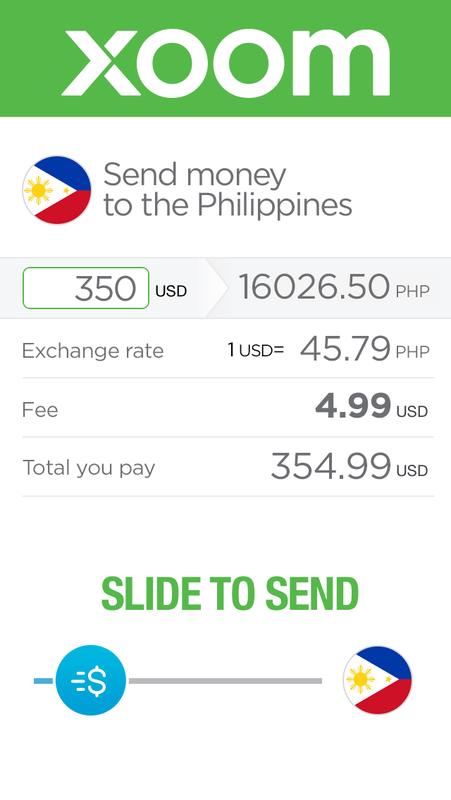 It's a convenient way to send money if you're overseas, definitely. I'm sure your family is proud of you for all your hard work. Paypal is a easy way for me to buy online especially for mothers day gift ideas. Like the security option felt safe using Paypal. I'm so thankful I have never lived so far with my mom.! Such a great ways of sending money via Paypal. Very helpful. 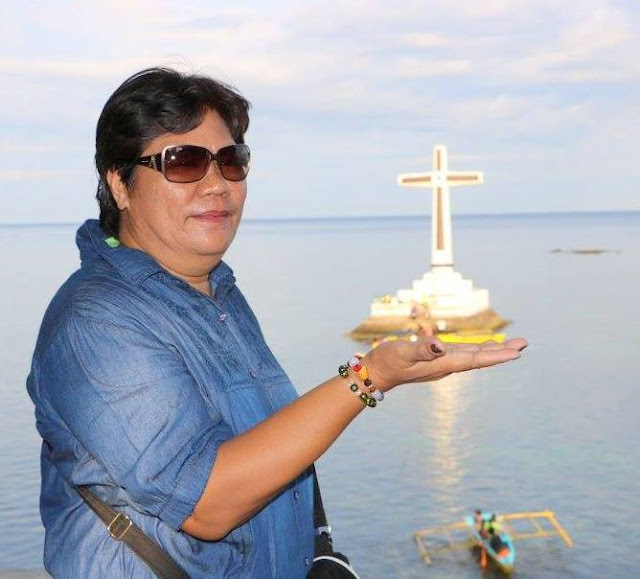 This is so nice, my mom is in the PH! And I'd like to try what you offered. Thanks for this. Will definitely check out that paypal mother's day link. Very timely read for me. Wow how cool! I'm going to check it out. For sure paypal has a lot of great deals. What a cool alternative, Ill check it out! I'm sure your mom will be happy, I'm going to check it out. It would be difficult if my mom were so far away from me. This is a great service to send monetary gifts for holidays like Mother's Day. I did not know Paypal was working with bloggers and I like that they offering exclusive deals for mothers day. I'd love to see my mom for Mother's Day. It's not going to happen this year, we're in different states. Would love to try this too for my mom back in Philippines! thanks for sharing! I am a huge fan of PayPal, so I think it's cool that they have this available to people. I love how you have four generations in one photo – that is so special. I'm so glad I no longer live states away from my mother. It's so hard! It's a must in our home that we spent Mother's Day with our Mom. We do this yearly and I don't see this changing anytime soon. It's so sweet of you to always remember your loved-ones :) Wish you all are together. This service is a great one! Used it several times when I was in different country and yes! hassle-free indeed!